When it comes to dinner, if I am not making an easy recipe in the crockpot, I really love meals that cook in 30 minutes or less. 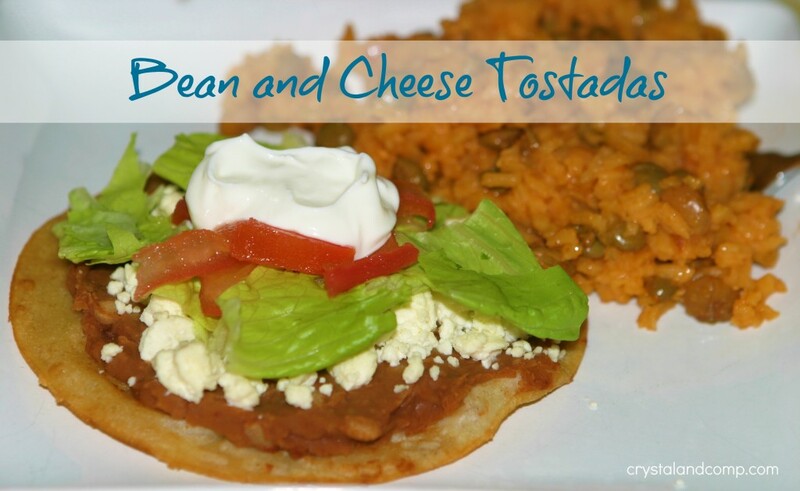 Bean and Cheese Tostadas are a great go to recipe for a night that you are wiped out and did not get anything going in the slow cooker earlier in the day. These are so simple and can be made as fancy or as plain as you want. Line a cookie sheet with parchment paper to make for easier clean up. 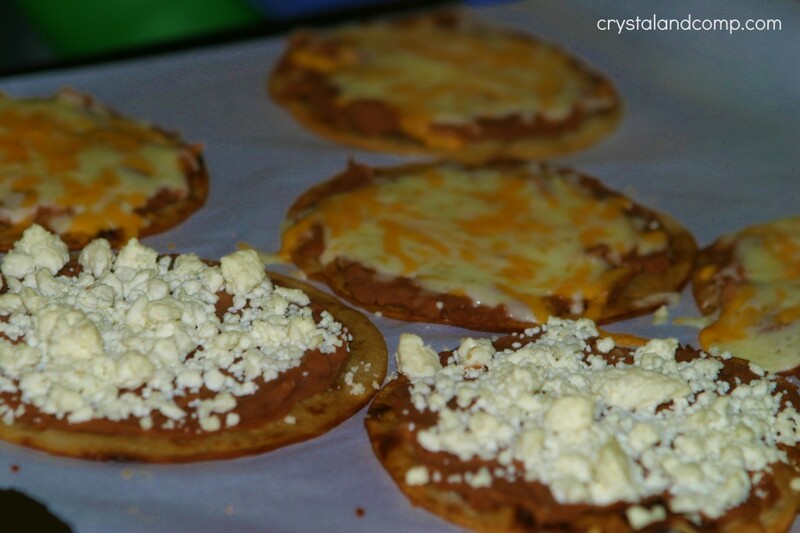 Place your tostada shells on the cookie sheet about an inch apart. 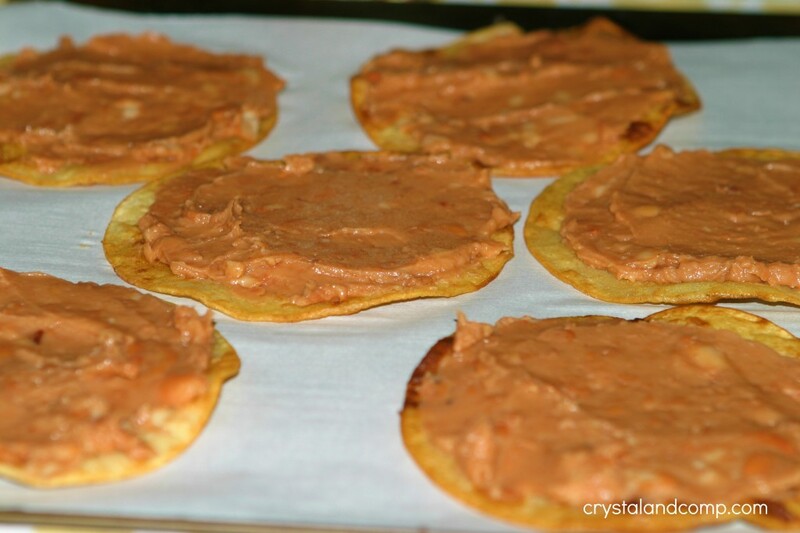 Use a spreader or knife to put an even layer of refried beans on each tostada shell. Sprinkle a layer of cheese over the beans. I LOVE feta cheese on mine! Pop them in a 350 degree oven for 10-12 minutes. The shredded cheese will melt. The feta cheese just browns a bit on top. Take them out of the oven and plate them up. Once plated, top them with your favorite things like tomatoes and sour cream. 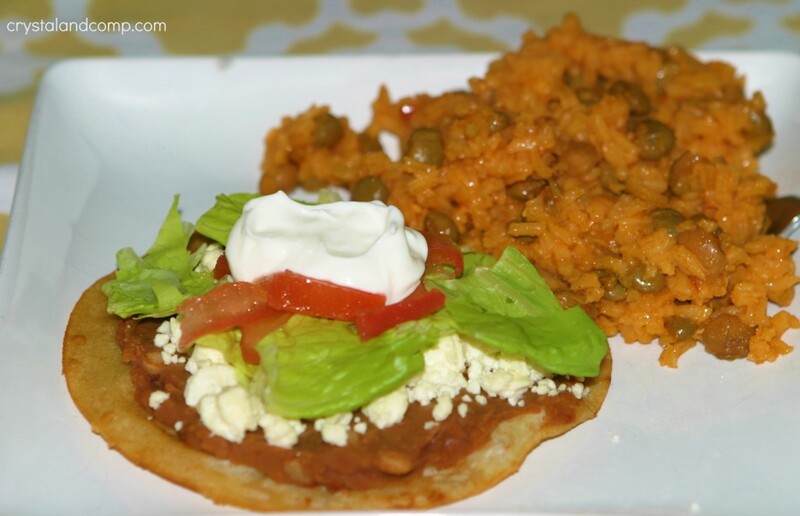 We served this with Puerto Rican rice, but you can serve it with your favorite rice of choice. Have leftover chicken you need to use up? 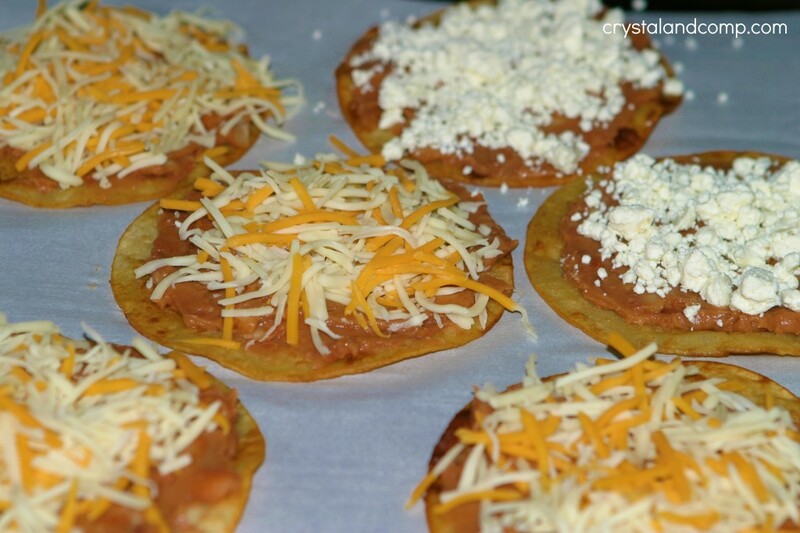 Shred it up and add it to the tostada before you add the cheese and bake. This is a great way to add some extra protein and keep leftovers from going to waste. I love this idea! I’m always looking for easy recipes that my 2 year old can “help” with easily. He will love being able to spread the beans & sprinkling the cheese. Thanks! I will get this onto our menu in the upcoming weeks. Lori B recently posted..2012 – Summer of CRAZY! Those look really amazing and I am now definitely in the mood for Mexican food!